Bangkok, ChangMai, ChangRai and ornamental temples to the Budda Image and a special culture that are simply beyond belief. A fabuluous trip with sights right from National Geographic. 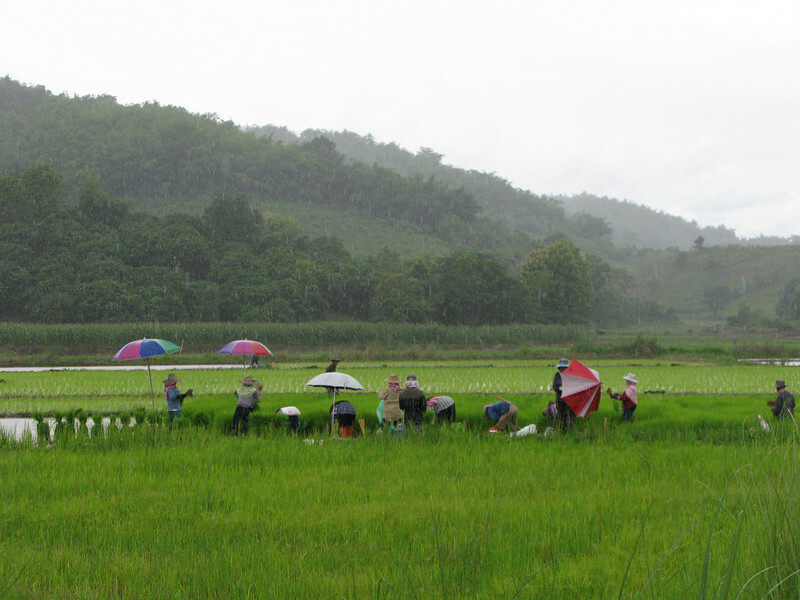 Karen people working the rice fields in the rain.